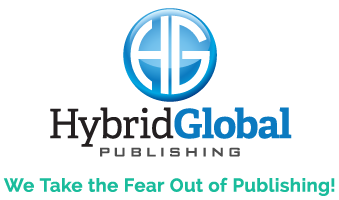 Karen Strauss, a publishing veteran and founder of Hybrid Global Publishing, hosts this five part series featuring in depth information about the publishing industry. Are you an author who’s stuck trying to decipher the difference between traditional, self, and hybrid publishing and which is best for you? Karen divulges insider information on each plus she details information about the latest technologies and processes utilized in publishing! In the second video of this five part video series, Karen focuses on traditional publishing. She details the pros and cons of deciding to go with a traditional publisher for your book and the common misconceptions that lead many authors to go that path. In the third video of this five part video series, Karen Strauss focuses on the ins and outs of self publishing. She details the problems that many authors face while taking this publishing route and the positives of not being backed by a publishing house. In the fourth video of this five part video series, Karen Strauss focuses on hybrid publishing, the new types of publishing that is a fusion of tradition and self publishing. Hybrid publishing’s popularity is rising in these changing times, as authors are educating themselves more about the publishing industry and what certain publishers can offer them. In the fifth video of this five part video series, Karen Strauss is joined by Ken Course (Explore Momentum) where they focus on how you can build your platform. They go into how to deal with your book’s publicity and marketing once it’s done and how to boost sales. Promoting yourself has never been easier thanks to the internet but there’s a right and wrong way to do it. Karen Strauss joins Ken Course to discuss whether a book is still a good choice in the current “digital age.” Do you still need a book? What’s the best way to get it done quickly? Where do you start? What’s the best way to publish when it’s done? Karen answers all this and more on this session!